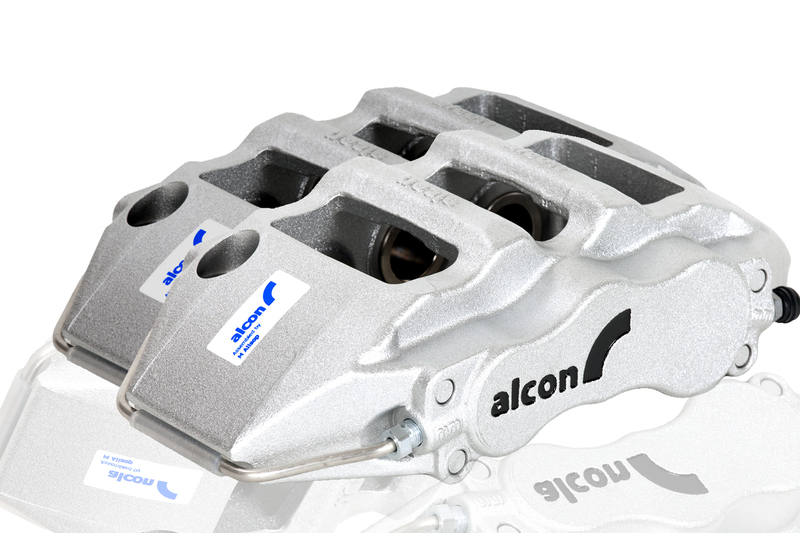 Mono6 CAR97 Complete Caliper set (pair) (30.2mm - 34.9mm - 38.1mm) pistons. New. Six piston one-piece (monobloc) gravity die cast aluminum alloy for optimum weight and strength. To protect against the elements nitrile rubber wiper seals are installed in the caliper bores outboard of the EPDM pressure seals. The design is more effective in high performance applications than external boots that can get damaged being in contact with the hot brake pads. Steel pistons with nickel plated finish for durability and to achieve a corrosion resistant surface.